Join us to help bake, sell and/or deliver various goodies for particular holidays. The treats are typically sold as a fundraising effort. If you like to bake, please volunteer for one of these social activities. 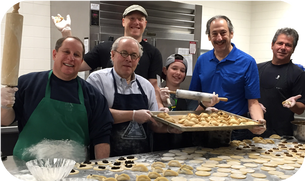 Volunteers make and sell hamentashen for this fundraiser. Proceeds benefit Adath programs and initiatives. 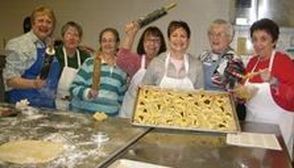 This group makes and delivers hamentashen to homebound congregants. Volunteers make and sell knishes for this Gan Shelanu Preschool fundraiser. Proceeds support the purchase of new educational equipment and provide scholarships for Gan families. This past year, nearly 3,000 knishes were made and sold.